The instructor** pulled a stem of goldenrod out of a bag and laid it on the desk. 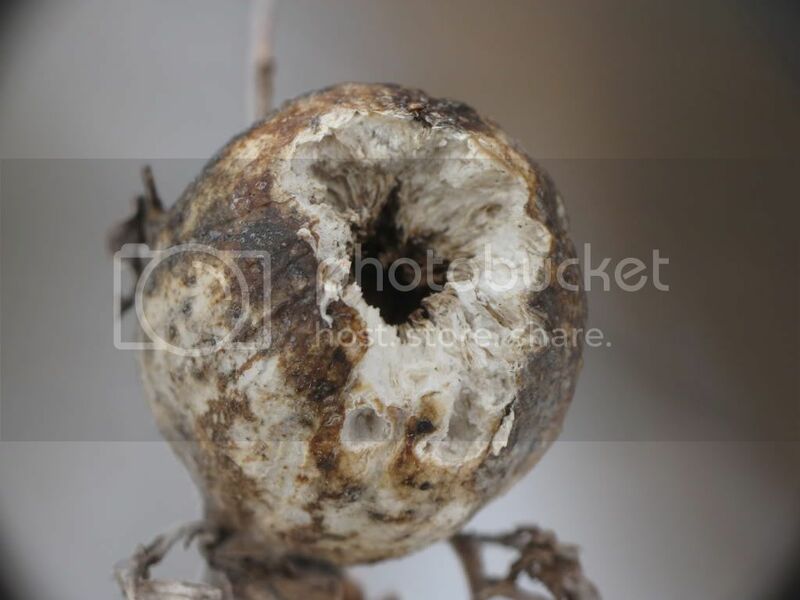 We were told the fleshy, spherical structure on the stem was caused by a fly, and that the structure was called a “gall”. The camera operator zoomed in on the pocket knife blade now held firmly against the gall; I watched as the instructor carefully cut through its thick wall, just deep enough to allow him to pry it cleanly apart into two halves. The camera zoomed in closer, and lo: a stout white grub, curled in a protective ball, nestled in a tiny chamber at the centre of the bulbous growth. This seemed amazing to me at the time…like magic. I had to see if such a thing could be replicated. Sure enough, a trip to a nearby park quickly led to the discovery of galls on dozens of goldenrod stems. My very own pocket knife carefully cut in (not too deeply), and then…TA DAAAA!!!! Magic! Fly larvae out of a round chunk of plant! I had to repeat the procedure a half-dozen times or so to convince myself it wasn’t a fluke. The galls are formed when larvae of the goldenrod gall fly (Eurosta solidaginis) – deposited in goldenrod (Solidago sp.) stems during spring by the female – chew on the stem tissues, inducing a hormone-mediated response in the plant. The thickened tissue provides both food and protection for the developing larva, which overwinters in its gall. Not all gall flies survive the winter to adulthood, however. The robust white grubs are a highly sought food source for birds such as Chickadees and Downy Woodpeckers, who bore through the galls with their beaks and pluck the tasty treat from within. Goldenrod gall raided by a Chickadee. The hole is messy and irregular. A neat, round hole suggests woodpecker feeding. 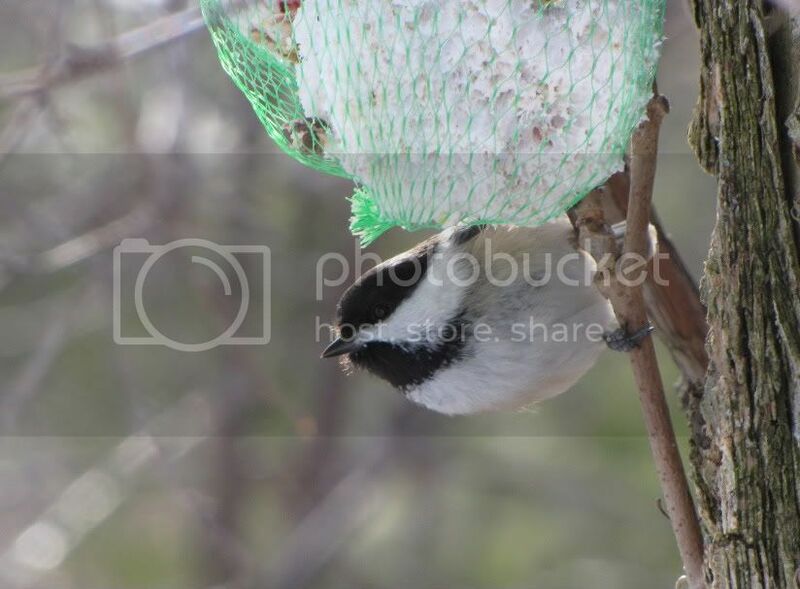 If you find a gall with a small, single round hole (a woodpecker’s feeding hole would be about the same size as the Chickadees, above, only tidier), the larva managed to avoid predation and chewed its way out of the gall in the spring, emerging as a new adult. Even after all this time, I still get a little thrill when I find one intact, and carefully split the structure into two neat hemispheres…TA DAAAA!!!! Fly larva, like magic! It’s one of my favourite nature “party tricks” when I’m outdoors with the uninitiated. * Yes, Journalism. That was my first major. The Natural History course in question was the catalyst for my switch to a Biology major the next year. 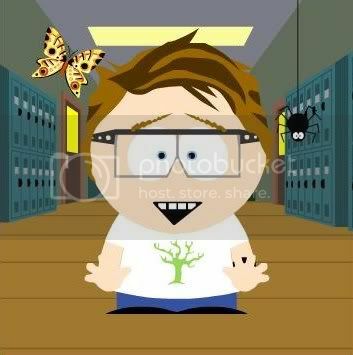 ** Natural history genius guru of epic proportions. My hero. Nice fly post! 🙂 I was on a guided nature hike once where I heard these larvae taste an awful lot like peanuts! I haven’t taken the chance to find out personally, but food for thought! Also, Eurosta is fairly heavily parasitized by Eurytomid wasps who consume the fly larvae and take over the gall, so there’s a pretty fair chance that some of the “fly” larvae you’ve seen are actually parasitic wasp larvae! Peanuts, eh? Hmm. I’ve known a few entomologists who had the strange urge to taste a lot of their subjects, and I’ve eaten some insects myself, but I don’t think I could bring myself to sample a raw fly larva. Blech. Do you have any photos of the wasp? Less scientifically, I do have photos of our lab’s pumpkin carving entry this past year where we recreated the scenario! I’ll let you know when they go online! I love to find galls. They are such fascinating things. 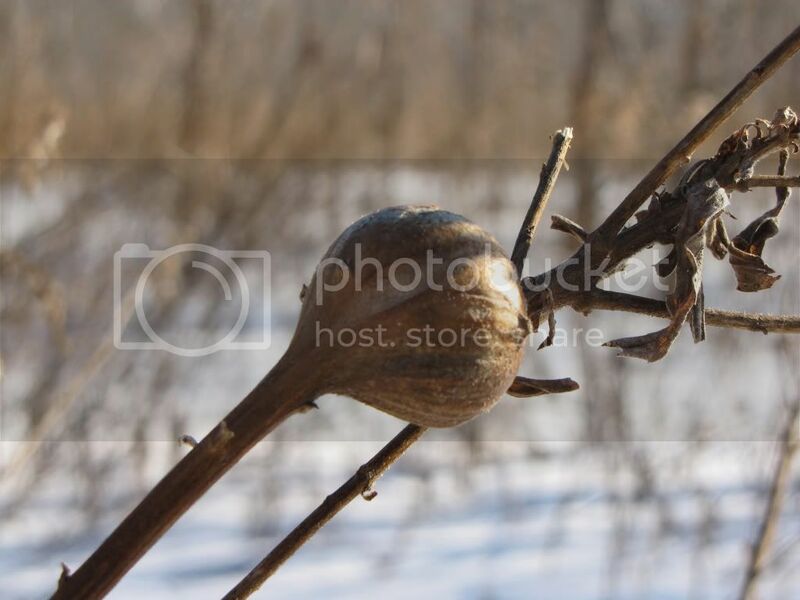 These goldenrod galls are EVERYWHERE! Occasionally I’ve even had the pleasure to see the fly in action (and naturally my camera was elsewhere…grrr). We have a lot of Oak galls around the farm, and some of them get quite large. I’ve never seen anything feeding on them as of yet. Although I did get the privilege of witnessing a woodpecker feeding on a Chinese Mantid Ootheca, and I had my camera! Don’ t you hate it when the camera’s not at hand the one time it really SHOULD be??? 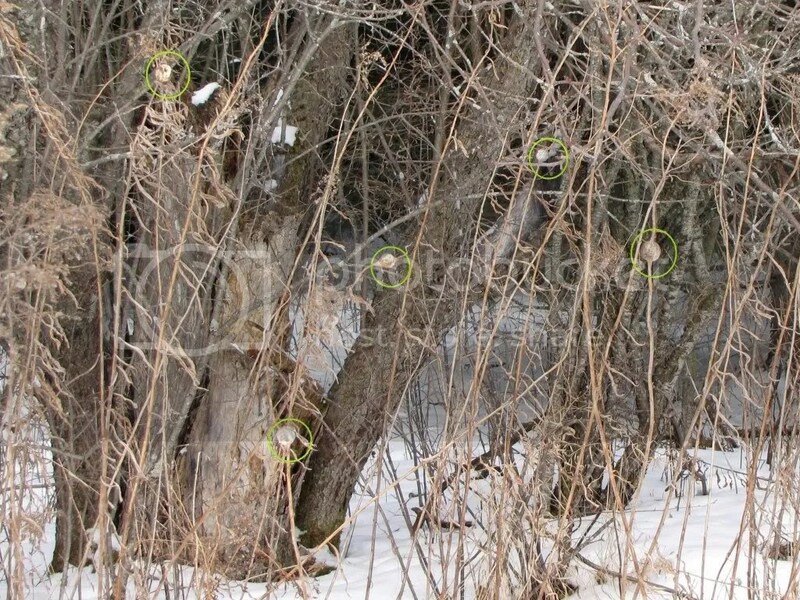 I’d love to see the woodpecker/mantid pics! You have birds called Chickadees!! I always thought it was just a slang term for cool kids. You just made my day! I remember when I was a kid, out for a walk with some family friends. One of them tried to convince me that the “nuts” all over a particular tree were in fact homes for baby wasps. I refused to believe her, so she grabbed one and brought it home with us. In a similar vein to your story, she then proceeded to cut it open, and I was amazed by the little grub sitting inside. Cool stuff. They are super-common and just wonderful little characters. Curious, cheeky, bold, quite fearless actually. I see dozens daily at my bird feeders; this morning I even coaxed one to land on my outstretched hand to take some seed…and these are NOT tame birds! It’s quite extraordinary, the level of trust these little guys seem to innately have with humans. No sarcasm TGIQ!! I really was a happy chappy upon finding out there was a bird with such a cool name. Nice pic. 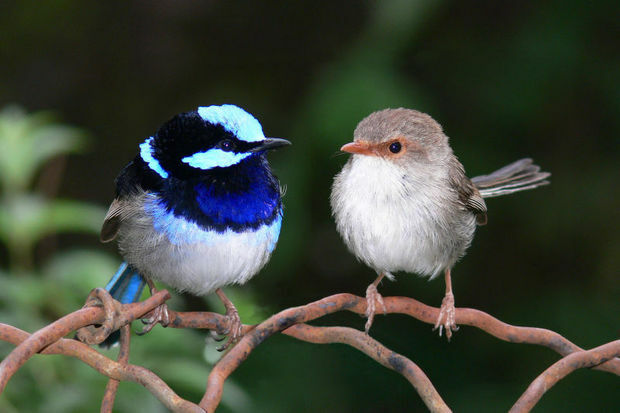 Sounds similar to a little bird we have in our southern states called a superb fairy wren. Although not naturally fearless, I tend to see them at campsites and these being more used to human contact can be quite cheeky. We’ve got “wrens” here too (“ours” are Troglodytidae, “yours” are Maluridae), but they’re all LBJ’s: Little Brown Jobs…nothing nearly as flashy,and little to no dimorphism. They’re also much more elusive/shy. I have the Mantid ootheca and woodpecker picture posted on MObugs under a post about Chinese Mantids. The photo is a little blurry, but I still feel fortunate to have seen such a scene play out. The whole scenario lasted about 60 seconds. I really feel like I need to just get into the woods after I read your blog. Hopefully I will be able to get a family expedition together soon.